The Trump administration’s Health and Human Services Department is reportedly leaning more toward Christian evangelical positions on issues like abortion, including a potential policy stating life begins at conception. Head of the Office of Civil Rights, Roger Severino, and director of the Center for Faith-Based and Neighborhood Partnerships, Shannon Royce, are two of the “small cadre” of top officials within the HHS department championing attempts to roll back federal protections of abortion and care for transgender people, Politico reported Monday morning. 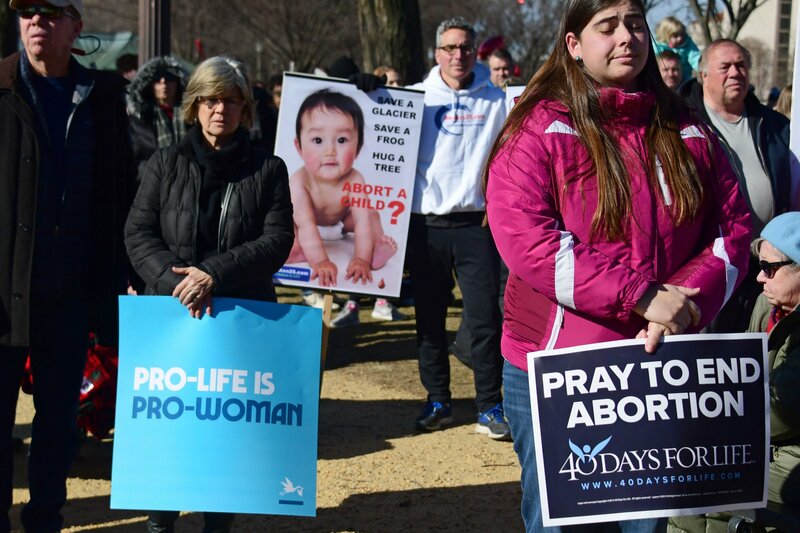 HHS is also in the middle of finalizing a four-year plan that could include declaring life begins at conception, a major stance for evangelicals and religious groups alike. A draft of the strategic plan for 2018 to 2022 included that exact language. Both Severino and Royce have deep ties to evangelical groups. The former is an anti-abortion attorney, and the latter serves as HHS’s main contact for religious groups. Most recently, Severino’s office proposed a rule last week that would allow health care workers who oppose abortion to refuse performing or participating in the procedure. Similarly, health care workers could refuse treating a person’s transition. The potential “conscience rights” rule, still under review by the Trump administration, would protect health care workers who believe their religious beliefs faced discrimination. In October, Royce headed up another effort to hinder abortions and transgender care. In doing so, Royce started a rulemaking process that could unravel federal protections put in place by the Obama administration. "They asked me a question as to pro-life or -choice,” the president said. “And I said … that I hate the concept of abortion. I hate the concept of abortion. And then since then, I've very much evolved."